Let a personal attendant handle all the odd jobs on your wedding day so you can relax and focus on the love surrounding you. 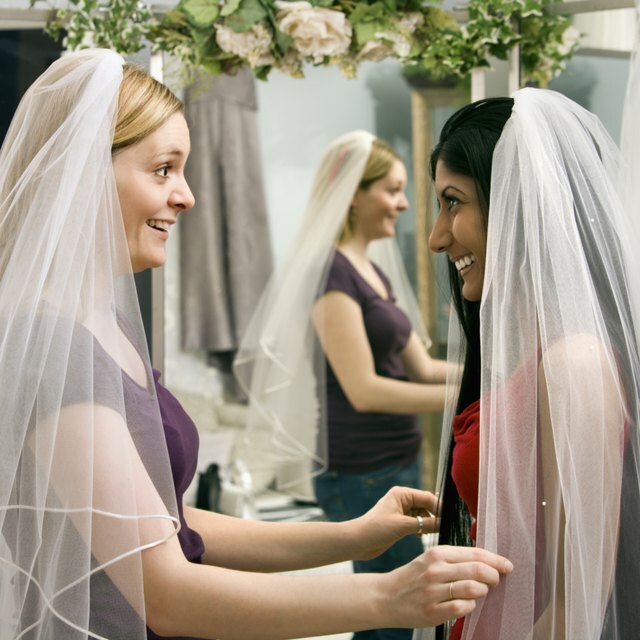 Ask a close friend or family member who has great attention to detail to be your personal attendant. The roles of personal attendant, wedding coordinator and members of the wedding party overlap sometimes, so be sure to share your expectations with your prospective PA and express appreciation for her help. This person will be your sidekick for the day and keep track of where you need to be and what you need to do. The personal attendant is responsible for holding all the things a bride might need throughout the day as life's little emergencies arise. Ideal items to pack in this emergency kit include pain relievers, antacid pills, clear adhesive bandages, a small sewing kit, scissors and safety pins. The bride will have many errands to be done on her wedding day, and this is where the personal attendant can be a big help. She should meet with the bride before the rehearsal dinner and make lists of tasks she can perform on the day of the wedding. The personal attendant might have to perform such tasks as meeting the photographer and instructing him on what images the bride wants captured, showing the DJ where to place his equipment, and making sure the reception runs smoothly. She should also expect to do such things as getting lunch for the bridal party, taking candid photos before the photographer gets to the site, and driving people to get their hair done. She also should check in with the groomsmen to make sure that they have everything required for their attire and offer to pick up any missing items. With the usual stress brought on by a wedding day, the bride needs to have a right hand that is prepared to handle situations and make decisions on her behalf. The personal attendant should have the common sense and confidence to do so. For example: A bridesmaid's bracelet breaks, should the other two continue to wear theirs or should they all remove them to match? The flower girl's shoes are a little too big. Can you stuff the toes or should you try to get a pair that fits? No job is too big or small for the personal attendant. The bride, groom and wedding party want to look their very best for this special day. While it's not the personal attendant's job to style hair and apply make-up, she will help ensure everything stays in place. To do so, she may bring a beauty kit that includes items such as hair pins, a mini lint roller, toothbrushes and floss, breath mints and extra hosiery. If she notices one of the groomsmen is sporting unmatched socks, she will find him a matching pair. She may also hold the bride's make-up for her, check the groomsmen's boutonniere's and fluff the bride's gown.